Download eCommerce Fashion Store Website Template PSD. This is a Free eCommerce Website template PSD suited for a fashion store website. The Fashion Store Website Template PSD has clean and elegant look and feel and built using a Bootstrap grid which will make implementing easier using the framework. If you want to give your brand and ecommerce website a professional look, you should definitely use eCommerce Fashion Store Website Template PSD. 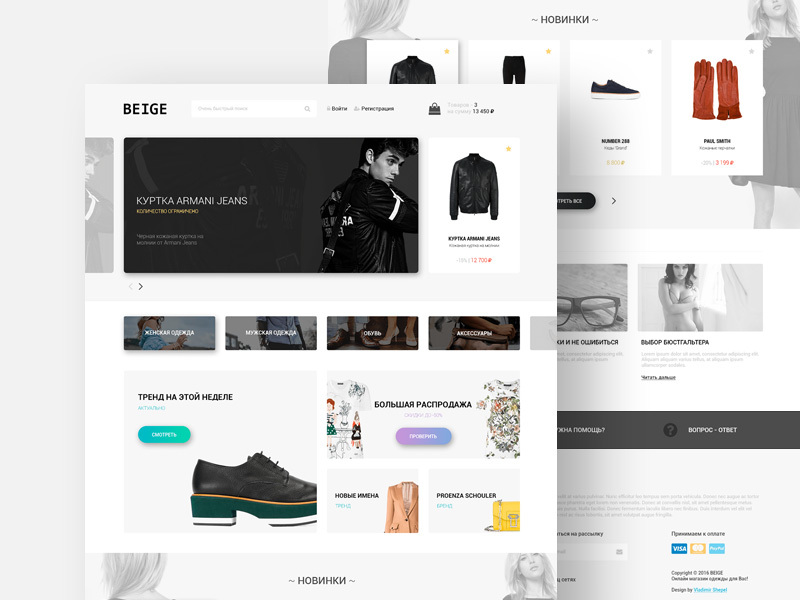 Feel free to use this for your upcoming personal and commercial fashion e-commerce website template design projects. Hope you like it. Enjoy!